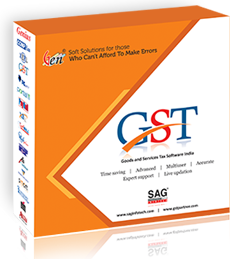 Gen GST software, a complete GST solution is designed and developed by SAG Infotech Pvt Ltd (Jaipur, Rajasthan, India) and is available in both Desktop and Online variants. The software allows unlimited return filing for unlimited clients. Both the desktop and online variants of Our GST compliance software are based on highly secured JAVA language. Our GST ready software (Billing, Returns Filing & e waybill) is OS independent (Online) which means that regardless of OS running on the system, the software is all set to work and operate on the desktop right away from the installation. 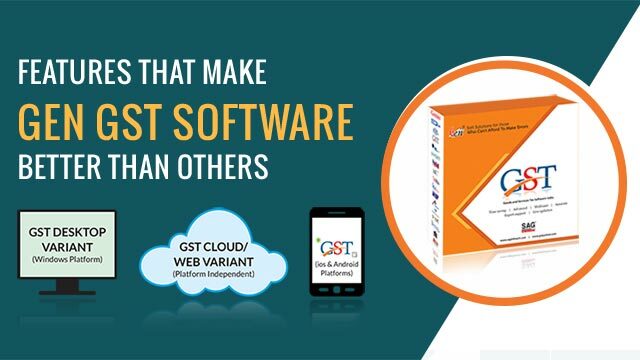 The Gen GST software is available for free download or anyone can avail online GST SaaS service working on the cloud, accessible anytime anywhere giving on-the-spot assistance to the small businesses in India for GST billing, e-filing & E way bill purpose. Download free Demo. The company has prepared multiple GST software modules that ensure faster and easier GST tax filing and invoicing work all with the help of software. GST return filing is done online and the payments are accepted via Net Banking, Credit/Debit card, so considering the safety measures for professionals, the software has been integrated with secure payment gateways for safe payment transactions. Same goes for the GST e-way bill which is a mandatory form to fill up before transporting goods exceeding value INR 50,000, our software is capable to handle bulk e waybill generation, with registration and cancellation features attached. As currently, there is a need of several GST returns filing per year, which accounts for GSTR 1, GSTR 3B, GSTR 4, GSTR 5, GSTR 5A, GSTR 6, GSTR 7, GSTR 8, GSTR 9, GSTR 9A, 9B and 9C making the task complex. So to overcome this issue, the Gen GST software has been made compliant with all government prerequisites. CBIC had earlier introduced GSTR 9 (Regular Taxpayers), GSTR 9A (Composition Taxpayers) and GSTR 9C (GST Audit Form) for the annual return filing for all the transaction under CGST, SGST and IGST. The Gen GST allows the filing of all GSTR forms including annual return forms. Also, our GST billing software has the best user-interface presenting each and every feature displayed on-board used on a day to day basis. Indian businesses can generate specific invoicing format along with sales and purchase invoice, e-way bills, payment voucher, refund voucher, credit note/debit note, purchase RCM and more productive features by our GST billing software. Import data from excel of Tally, Busy, JSON, SAG & Govt. GSTR 1 - One-click e-filing of data with Offset & EVC/DSC-e-filing, delete all data from portal, summary/dashboard option, amendment facility, bulk download status of return filing, download return data from the GSTN portal, portal data import from GST return software and govt portal. GSTR 2/2A – E-filing of returns with data import from Govt. portal, summary/dashboard option, download return data from the GSTN portal. GSTR 3B – E-filing with Offset & EVC/DSC of returns with import data facility from Govt. portal, summary/dashboard option, bulk download status of filing details, download return data from the GSTN portal, reset returns all possible through our GST filing software. GSTR 4 - E-filing with Offset & EVC/DSC of returns with auto offset, bulk download status of filing details, summary/dashboard option, download return data from the GSTN portal. On single click user can download all the data (GSTR 1, 2A, 3B, all ledgers, return status and challan register) from the GSTN portal. Import data from Excel, JSON etc. Reconcile difference of software and portal for differences if any. GSTR 8 - GST TCS return filing form for e-commerce companies is under development which will be available soon. Import data from returns, excel, JSON etc. Prepare GSTR-9A with a single click from GSTR-4. Reconcile data from books, portal, and returns and find differences if any. GSTR 9C - GST Audit form under development for an annual audit of taxpayers having the turnover above 2 crores. Upon generation of JSON file Input blank or 2 to 4 digit HSN code only. Also import data in excel template of Govt./SAG/Tally/Busy or Copy/Paste HSN at the time of Generation of e-File in our GST compliance software. Find error report Zip files and validate GST numbers in bulk. Also Validating JSON Files with the Different parameter. The GST Software supports exporting of data into the GST Govt. Offline Tool & SAG Excel. Import Details Like Client Master, Supplier & Receiver Data from Portal & Based on GST number. Facility of e-way bill creation at the time of billing for mapping of invoices with e-way bill. This feature enables taxpayers to update any details in their e-way bill including the vehicle number, transporter ID, and more. Import/Export facility from Govt. Excel for E-way bill preparation, consolidated e-way bill preparation and vehicle updation. Import of generated e-way bills from portal into software. Fetching status of generated bills from portal and auto filtering of bills as per status. Gen GST software can also be used for generating or re-generating of consolidates bills with full details. Maintain specific list of dealers under RCM and create purchase RCM invoice for them separately. Inform clients regarding Returns status via Bulk SMS/Email directly through Gen GST. Create unlimited clients and assign your client's password for any modification in tax data. Pay all the GST returns online with a secured payment gateway through GST return filing Software also maintaining challan register. Find Auto Filtering of Regular & Composition Clients, show clients according to Registration Date/Dealer Type, show clients as per liability and GSTR-1 Monthly/Quarterly, client list return wise of return filed/not filed and filed within Due Date or Not. Such features only with our Gen GST compliance software. An administrator can screen all the login individuals who have visited the software and executed any moderation. Our software is adaptable to new colors, theme and personal touch. Backup all the tax data to avoid any mishap or data loss and recover whenever in need. Connect with us through SEP and suggest for any betterment and desired feature in the GST software. This feature will facilitate locking of a particular return status as designated by the CA. 1. 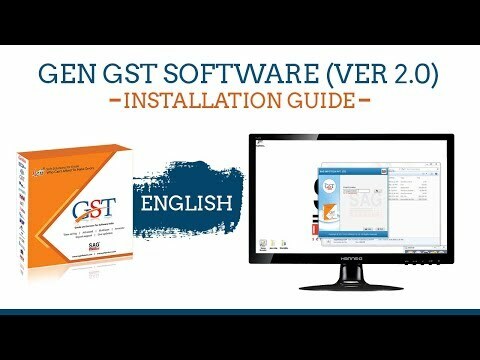 What is Gen GST software all about? 2. Can I file GSTR-3B return using the Gen GST Software? Yes, Our GST filing software now allows you to easily file your tax returns using GSTR 3B form directly from your desktop application. Just download and install the software on your system and start filing the GSTR-3B return now. 3. What is a GST online Software? 4. Why Gen GST Software stand bigger? 5. Is annual & audit return filing facility in GST filing software? Yes, we are working on the GST annual & audit return filing form on the basis of GSTR 9, GSTR 9A and GSTR 9C which are mandatory to be filed by all the taxpayers being regular, composition and an annual turnover of more than 2 crores respectively. The annual GST return forms will be featured with all the significant utilities along with the final e-filing and payment facility. 6. What are the services on GST E-Way Bill Software? We provide the complete solution for the GST e-way bill including registration, updation, generation and printing. Overall, preparing GST e-way bill has never been so easy. 7. How GST compliance software helps in GST return filing? 8. Is there invoicing facility with the GST billing Software? 9. Is there any demo for the software? Yes, the demo will be available for the prospective clients to have an outlook of our one of the best GST software. Just follow the link and register yourself for the demo. 10. Can I use the free service of Gen GST before buying pro-version? Yes, you can use the free-version of Gen GST software for a limited time period. Although, we recommend buying the full software if you want to enjoy the complete unique features along with unlimited e-filing capability. The cloud version (online) software is free to use for one GSTIN (GST Identification Number), i.e for a single business or person. 11. Difference between Online and Desktop Application? Online variant seeks proper working Internet connection to be workable. Online variants requires web browser to function regardless of any OS. Desktop variants only requires proper system hardware to run on the system. 12. How is GST E Way Bill prepared by Gen GST? Our GST e-way bill software through multiple customisations brings faster generation and updation to the e-way bills thus enabling quicker turnaround time for the vehicles. Get a 10% discount every time someone purchases GST offline software from the company. A great opportunity to have the best GST compliance software for all the GST related work. The complete guide for GSTR 1 form filing in a very easy and step by step procedure. Complete details of GSTR 3B form and returns with step by step procedure. The GSTR 3B return form is applicable for Return of July and August 2017 only. Click here for complete step by step guide to file annual GST form GSTR 9 regular taxpayers and composition scheme dealers. Our GST annual return Software will provide annual return filing form very soon.